Both of them have covered many topics in common and have mostly covered the dominant presence of B.P. and his revolt against the #Rana regime, the Panchayati system, and the Monarchy (B.P. was lenient towards the monarchy later). 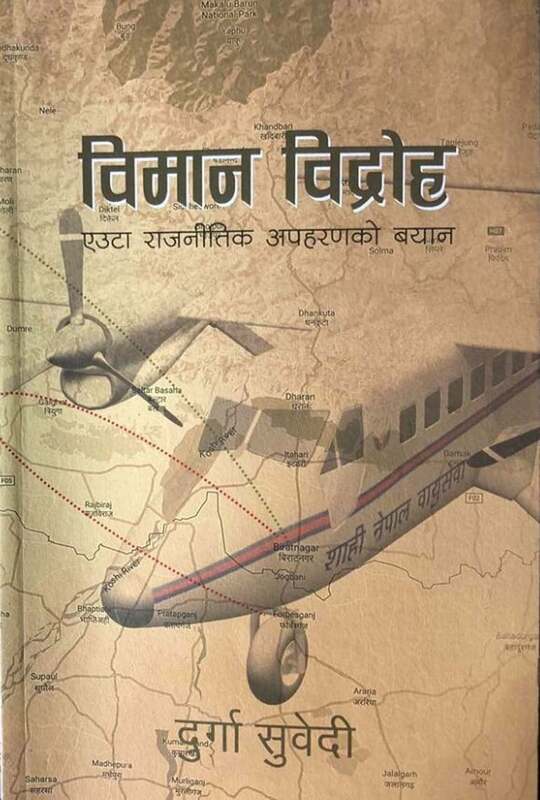 These two books below बिपीको बिद्रोह (Bipiko Bidroha, Meaning Bipi’s Revolt) by Nepal Jagat and बिमान बिद्रोह (Biman Bidroha, An Airplane Revolt) by #DurgaSubedi illuminate political situations and the system during the #Panchayat era (1960-1990) and slightly before and after so translucently and lucidly that any lay readers like me will be fully enlightened about what role #BPKoirala played in the history of Nepali politics. Anyone can see through these two books the towering personality of B.P. despite some ideological clashes with other politicians within. After reading these books, I present both of them here side by side just because both of them have covered many topics in common and have mostly covered the dominant presence of B.P. and his revolt against the #Rana regime, the Panchayati system, and the Monarchy (B.P. was lenient towards the monarchy later). All the incidents and accidents revolve around B.P’s revolt. Both books talk about the hijacking of the plane from Biratnagar. To discuss these two books separately, Jagat’s book begins from B.P.’s birth, his growth, his relationships with Indian leaders, such as Mahatma Gandhi, Jawaharlal Nehru, his revolutionary activities, detainments, and his ideology and patriotism. B.P did not live very long but lived through the generation of three kings, King Tribhuvan, King Mahendra, and King Birendra while heightening his personality across the world that even the then Nepali monarchy could not help eulogizing him. Jagat has done an exemplary work in the book by doing extensive research plus interviewing the eyewitnesses of history and directly quoting them verbatim. It provides the reader with much political insights. However, after one reads Durga Subedi’s narratives as being himself an eyewitness of B.P.’s revolt, one will genuinely reckon that Jagat’s book might be incomplete without reading Durga Subedi. Subedi is more of an eye opener and much clearer to understand the politics of Nepal that we and our generations have lived through. While Jagat’s book covered the period before the Panchayat era penning around B.P Koirala, Subedi has discussed more after the Panchayat era until the establishment of democratic republic of Nepal. Subedi has proved himself through his writing a living national hero, a humble human being, a courageous fellow with nationalistic fervor, and a husband of former chief justice #SushilaKarki. It was heart wrenching and soul searching to read the narratives through Subedi, who risked his life to highjack the plane for the sake of democracy and against the Panchayati system, who languished in jail and was tortured severely but never told the truth for the sake of democracy again, who worked as a mediator during the Maoists’ people’s war at the time of Krishan Prasad Bhattarai’s premiership so the country would not boil in bombs. Frustrated and hurt from how politics could work in the context of Nepal, Subedi lived a life of honesty who in my eyes after reading this truly remains an unseen hero. Keats says, “Unheard melodies are sweeter than heard melodies,” meaning he seems to be one of the unheard heroes in Nepali politics. One of the interesting aspects of the book is Subedi analyzes Nepali politics through his eyes very crystal clear. My fair judgment on Dr. Baburam Bhattarai, Pradip Giri , LAHAN ,siraha -1, B.P. Koirala remains untainted after reading Subed’s book. In my opinion, in Jagat’s book, the ending somehow seemed incomplete to me but Subedi’s book filled the gap.